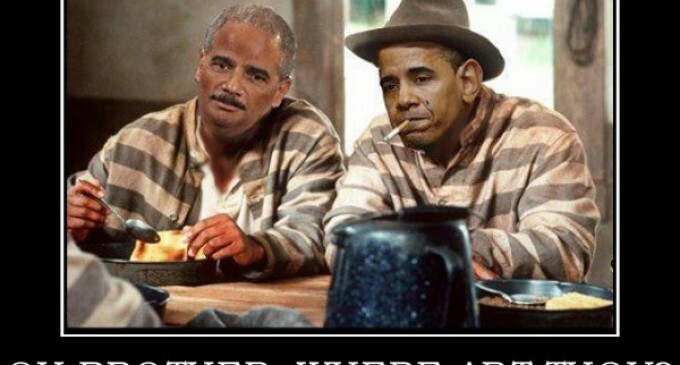 House Republicans announced plans to file articles of impeachment against Attorney General Eric Holder on Thursday. Several GOP congressmen have been drafting articles of impeachment over a number of controversies relating to the U.S. Department of Justice. The lawmakers’ grievances include Holder’s refusal to turn over documents relating to Operation Fast and Furious, the DOJ’s habit of selectively enforcing federal laws, and the department’s refusal to prosecute IRS officials who allegedly accessed confidential taxpayer information, among other things. The articles of impeachment also accuse Holder of providing false testimony to Congress, which is a “clear violation” of the law. Rep Pete Olson (R-Texas) is one of the congressmen spearheading the effort along with Rep. Ted Yoho (R-Fla.). Other supporters of the impeachment include: Rep. Phil Roe (R-Tenn.); Rep. Ted Yoho (R-Tenn.); Rep. Lynn Westmoreland (R-Ga.); Rep. Larry Bucshon (R-Ind. ); Rep. Blake Farenthold (R-Texas); Rep. Randy Weber (R-Texas); Rep. Roger Williams (R-Texas); Rep. Bill Flores (R-Texas); Rep. Louie Gohmert (R-Texas) and Rep. Michele Bachmann (R-Minn.). Article II of the proceedings charges that Holder violated his oath of office by refusing to enforce certain laws that the Obama administration, for various reasons, decided not to enforce, including the Defense of Marriage Act, which the administration deemed unconstitutional. Finally, Article IV claims Holder “provided false testimony to the House Judiciary Committee” regarding the potential prosecution of a member of the news media, Fox News correspondent James Rosen, using the Espionage Act. Does your congressman support the impeachment of Eric Holder?